Is torrenting safe? Is it illegal? Are you likely to be caught? Three questions I’m often asked are: Is torrenting safe, is torrenting legal, and what happens if I get caught? This post answers those questions and looks at the methods torrenters use to stay safe and anonymous. Is torrenting legal or illegal? Torrenting itself isn’t illegal, but downloading unsanctioned copyrighted material is. It’s not always immediately apparent which content is legal to torrent and which isn’t. Some fall in a gray area, so you may find yourself unwittingly on the wrong side of the law. Your internet service provider (ISP) and copyright trolls monitoring the BitTorrent network can take action if they catch you illegally torrenting. This can range from a warning letter and throttling (slowing down) of your internet connection to legal action – although the latter is increasingly rare. Privacy-conscious torrenters will use VPNs, or virtual private networks, to keep their internet activity hidden from their ISP. With a wide range of applications, some VPNs are better suited for torrenting than others. If you want to keep your ISP from snooping on your activity, choose a VPN that: a) doesn’t keep a log of your activity, b) isn’t based in a country where the legal system can be used to demand customer records, and c) is fast enough that it won’t slow downloads. We’ve rounded up the providers that fit these criteria and others in our list of the best torrenting VPN services. Download and install a VPN matching the criteria mentioned above. 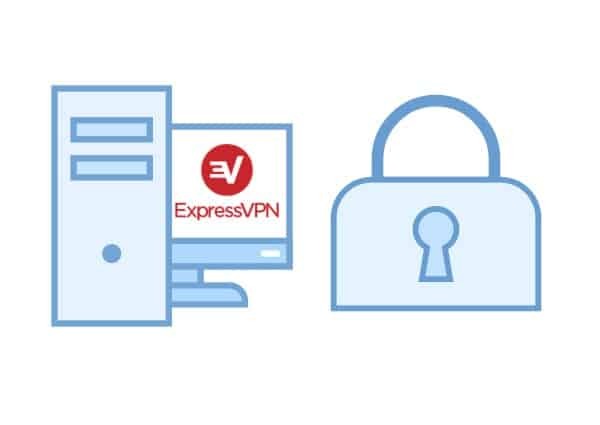 We recommend ExpressVPN. uTorrent is the official torrent client from the creators of the BitTorrent protocol. It is proprietary—not open source—software maintained by a legal US company. Like BitTorrent, the software itself is legal, although it can be used for piracy. 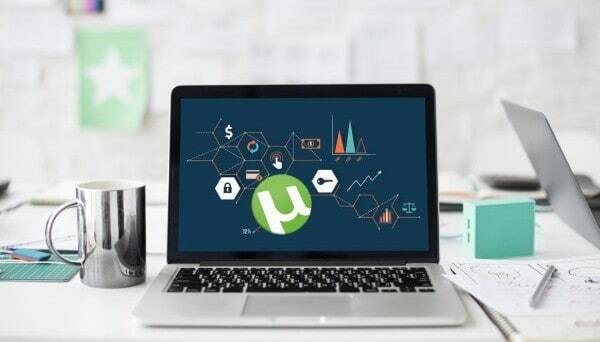 The official uTorrent is free of malware and can be used safely and privately in combination with a VPN. It does not, however, prevent users from downloading malicious files that can infect their device. 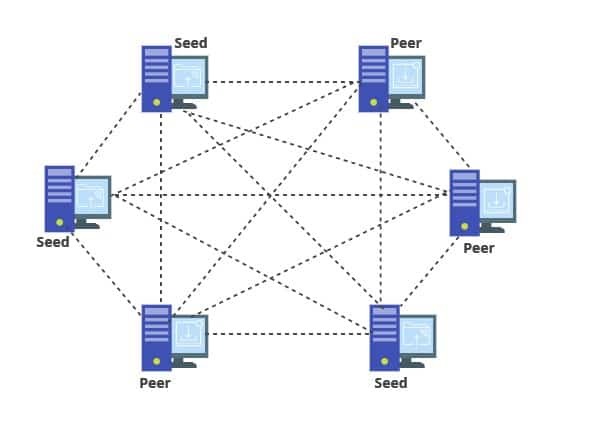 The BitTorrent protocol rose to become the most popular medium for peer-to-peer filesharing the world after the demise of centralized services like Napster and Limewire. Unlike those services, torrenting is almost completely decentralized save for the trackers that allow users to search and download torrent files and magnet links. Torrent files and magnet links are used to find other users on the network who host the desired file or files but do not actually host those files for downloading. The BitTorrent protocol is not in itself illegal or unsafe. It is just the means to share any type of file, and plenty of legal torrenting services do exist. The most popular trackers, such as ThePirateBay and KickassTorrents, however, operate in a legal grey area, offering users free access to copyrighted content. These trackers would argue that they simply find and organize information that is already out there, and they do not illegally host any copyrighted content on their own servers. Just like the BitTorrent protocol itself, they are the means to an end. Not everyone is convinced. Major trackers have come under heavy legal scrutiny from content creators and distributors who argue the trackers enable and encourage theft. The blame ultimately shifts to the users, the millions of individuals who host files on their personal computers, downloading and uploading movies, games, software, music, ebooks, and more. Users connected to the same tracker are called peers, and they fall into two categories. A leech uses a torrent file or magnet link to download the file from other users on the network who already have the file. These users who already have the file are called seeds. When a leech is finished downloading a file (or even just part of a file), he or she becomes a seed, allowing other leeches to download the file from his or her computer. As a general rule, it’s considered proper pirate etiquette to seed as much as you leech. Legally speaking, seeding and leeching copyrighted material fall into different criminal categories. Think of it like buying illegal drugs: purchasing the drugs for personal use is definitely a crime, but a relatively minor one. Turning around and selling those drugs to others is a much more serious offense. Finding the original source of the drugs, or in this case the HD rip of the new Avengers movie, would be the best case scenario for law enforcement, but that isn’t always possible. The trackers act as the shady back alley marketplaces where all of these transactions go down, but they don’t personally handle any of the drugs. Prosecution of torrent users has been sporadic. The chances of actually going to court or having to pay a settlement are pretty slim, but the penalties can be extremely high. The frequency of copyright holders suing torrenters for piracy peaked in the late 2000s. Pirates were sued for wildly disproportionate amounts of money, and most settled out of court. These public scare tactics shone poorly on the recording and movie industries because they were portrayed as petty millionaires bullying poor college students. Direct lawsuits are much less common these days, but the campaign against torrenters is far from over. Now the job of going after individual pirates has been outsourced to a growing number of small businesses known as copyright trolls. These companies locate torrenters who illegally download copyrighted content through their IP addresses. They then approach the copyright holders and sign a deal that lets them take legal action on their behalf. Others are hired directly by Hollywood production companies to sniff out pirates. With legal leverage and a list of names, the copyright trolls then go after torrenters via mail, email, or even by going door to door and handing out settlement letters. These letters are not legally binding documents or injunctions. Copyright trolls use intimidation, fear, and shame to make torrenters pay without ever going to court. A common tactic is to threaten to sue for over $100,000 but only ask for $3,000 or so in the settlement. That makes the $3,000 look like a good deal, but going to court is costly and risky for them, so don’t give in if you receive such a letter. The most common way to receive a settlement letter is through your internet service provider. A copyright troll will go through the court system to subpoena your ISP and force it to email customers with a legal threat and hand over personal details. According to US law, an IP address is not a person. If you were contacted through your ISP, chances are that’s because the copyright troll doesn’t know your actual identity yet. If the letter doesn’t contain any identifying information on you, keep it that way and do nothing. Your case could be dismissed prior to the date that your ISP is set to reveal your personal details to the troll. If you respond and identify yourself, that gives the troll a more direct means of targeting you. This is a game of probability for copyright trolls. If they send out 1,000 threatening emails and 50 people reply, they only need a handful to actually cough up money to make it worth their time. Chances are it’s more cost effective for them to move on to the next swarm of torrenters than pursue the remaining 950 people. If things escalate and you decide to take action, lawyer up. Here’s a list of attorneys compiled by the Electronic Frontier Foundation that specialize in these sorts of cases. Depending on your ISP, it may take actions against you on its own behalf. That could mean throttling your internet connection or threatening to hand over personal details to a copyright troll. Why does your ISP even care? Because torrenting takes up a lot of bandwidth, and that bandwidth costs ISPs money. On top of that, an ISP could be receiving kickbacks from content owners and their associates. To avoid any legal ramifications, it’s best to simply not torrent. However, if you insist on torrenting, take the time to protect your privacy and keep copyright trolls at bay. The best way to torrent safely is by using a VPN. A VPN accomplishes two things: first, it re-routes all your internet traffic through a server in a location of your choosing, which changes your IP address to one used by hundreds or thousands of other people (assuming your VPN uses shared IP addresses, which most do). This adds a significant layer of anonymity and makes it much more difficult for anyone to track you. Second, a VPN encrypts all your traffic before it leaves your computer. That means your ISP cannot monitor your activity, nor can anyone else. And because all your traffic heads to the VPN server first, ISPs can’t even tell where it’s going. Using a quality VPN is key; don’t settle for a “free” service or VPNs that log your activity, cap your bandwidth and data, or don’t provide sufficient DNS leak protection. Not all VPNs tolerate torrenting. You can check out our list of the best VPNs for torrenting here, which are services with fast speeds and a focus on privacy, security and anonymity like ExpressVPN, IPVanish and NordVPN, among others. If you don’t want to pay for a VPN, you might be considering Tor. Tor is similar to a VPN in that it routes your traffic through several volunteer “nodes” while encrypting traffic. We recommend a VPN over Tor for a couple reasons. First, Tor is slow, and usually best for simple browsing and other low-bandwidth activity. Second, connecting to Tor could actually draw more attention from your ISP and law enforcement, as it’s a well-known tool for hackers and criminals. Another popular app among torrenters is Peerblock. Peerblock is a desktop firewall with a regularly updated blacklist of IP addresses. These IP addresses belong to entities that try to track your activity online, especially on peer-to-peer networks. Unfortunately, the blacklist is only updated once upon installation. After that, users must pay to keep them updated. Even if you’re willing to pay, it’s unlikely that the blacklist could contain every possible IP address for copyright trolls, universities, and law enforcement. A copyright troll just needs to connect to the swarm–all the devices connected to a single torrent–with an IP that isn’t on that blacklist to get your IP address. Instead of torrenting, another alternative is Usenet. Usenet is a paid service-usually between $10 and $20 per month–where you download files from centralized servers instead of a network of peers. Usenet downloads are much, much faster; often as fast as your ISP can handle. Usenet is more private as well. 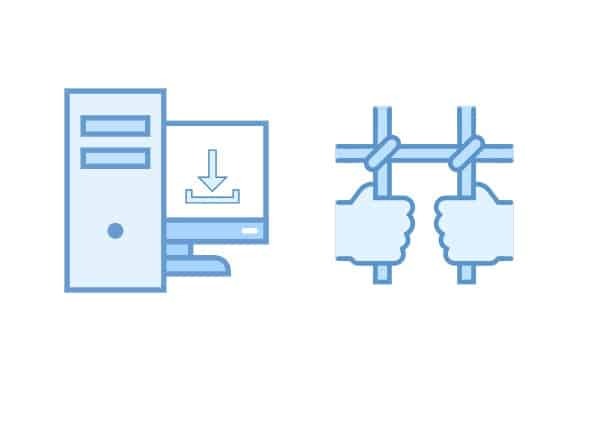 The connections take place between you and the provider’s servers, and the best providers offer an SSL-encrypted connection. Some even throw in VPNs for good measure. Torrents, on the other hand, require that you share at least some identifying information in order to connect to the tracker and peers. Finally, downloading a Usenet file doesn’t mean you have to seed it for other users afterward. Legally, this makes you less of a target because you’re not supplying strangers with copyrighted content, at the same time consuming fewer computer resources and internet bandwidth. Usenet providers make files available for a certain number of days. How many depends on the provider, but the standard is 1,200 days after the original posting. Until that time is up, users have full access to that file. Torrents only stay up as long as people seed the file. We’ve rounded up some of the best Usenet providers here. Many people have moved away from downloading entire files through BitTorrent and opt instead to stream content either on their web browsers or through customized programs like Kodi. When it comes to safety and the law, what’s the difference? Legally speaking, you’re probably still breaking the law when you stream copyrighted content from a pirated source. However, this depends largely on your country. In the UK, it’s outright illegal. In India, a court ruled that it is absolutely not illegal. In the US, it’s still a grey area, as there’s been no precedent of anyone being convicted for piracy after streaming a copyrighted video from an unsanctioned source. Those who upload the videos without compensating or asking permission from the copyright holder do so illegally. That’s pretty much standard no matter where you are. Not only do laws tend to be more lenient toward streaming, it’s also more difficult for copyright trolls and law enforcement to catch users in the act. When you download a torrent, you can see the IP addresses of everyone else you’re uploading to or downloading from. But streaming transmits a video directly from a website to your device, with no third parties involved. Don’t get too comfortable, however, as there are still risks. The website could be logging IP addresses or other information about its users, which it could then hand over to law enforcement or a copyright troll. Your ISP could monitor your activity and see that you are watching pirated content. These are risks that can mitigated by connecting to a reputable VPN. When it comes to security, streaming carries just as many risks as torrenting. Websites that stream pirated content tend to be chock full of intrusive ads, malware, and phishing threats. Kodi users are subject to man-in-the-middle (MITM) attacks and other threats from the add-ons they download. As a rule of thumb, avoid downloading movies that were released on DVD and Blu-Ray in the past 60 days, especially big-hit blockbusters. That’s when movies make the vast majority of their post-box office money, after which their income significantly drops off. Copyright holders will put most of their anti-piracy resources into going after torrenters of new releases to minimize the financial damage. The same goes for TV shows and video games. Users of Popcorn Time, the free movie-streaming app, should tread just as carefully as torrenters. Many Popcorn Time users don’t realize that the app actually streams directly from torrents and will even seed a file so it is uploaded to other users. All the risks associated with Popcorn Time apply in equal measure to torrenting. That means Popcorn Time users should also use a VPN. Choose your torrents wisely. The most popular torrents on ThePirateBay and KickassTorrents are probably the ones being most closely monitored by copyright trolls. However, don’t pick totally unpopular ones either. Read through the comments section, where users often run virus scans on downloads and post the results. They will also give you a general review of the quality. Even if the comments are positive, run your own virus scans as well. Ideally, use multiple antivirus programs to run an array of scans, as each of their virus libraries can differ. Not all antivirus programs play nice with each other, however, so mixing two or more must be done with care. We recommend Bitdefender to scan all downloads before opening. This is especially important when downloading games and software, which are often “cracked” by the uploader. Cracks make it easier to bypass DRM schemes that validate content with the publisher, but they also make it easier to distribute hidden malware, spyware, and viruses. Check out Comparitech’s antivirus reviews section here.